Health and safety committees making informed recommendations regarding an organization's existing response plans. This 2-day course offers ways of developing and implementing an effective emergency response plan. To be able to deal with emergencies, it is important for an organization to develop and implement a proper plan in advance for precaution. The objective of an emergency response plan is to be prepared to deal with unforeseen situations such as fires, chemical spills, explosions, floods, injury, illness and other crisis situations. Such a plan is essential to protect health, lives, property and the environment. The plan outlines actions that employers and employees must take in the event of an emergency situation to ensure the safety of employee and to minimize property damage. An emergency plan should be specifically tailored to your worksite. It must include ways of dealing with all potential emergencies that can occur in your workplace. The plan must clearly outline the procedures to be followed in the event of an emergency. A disorganized and unprepared approach to dealing with emergencies may result in confusion, loss of lives, injury, financial or business losses, and property damage. Emergency Situations is any situation or occurrence of a serious nature, developing suddenly and unexpectedly, and demanding immediate action. Types of Emergencies such as: Fires, Spills, etc. Emergency Response Plan itself by definition is an integrated set of policies and procedures that allow you to prepare for, respond to and recover from emergency incidents. Prevention policies and procedures help to ensure that the risk of occurrence of emergencies is either eliminated or minimized while recovery policies and procedures allow the organization to recover quickly and be back in operation with as little disruption as possible. Creating the Planning Team is necessary to make the plan success. The Team Members must be an individual or a group in charge of developing the emergency response plan. The size of the planning team will depend on the facility's operations, requirements and resources. Committee members should be appointed in writing and their responsibilities should be clearly defined. Then, Emergency Response Policy should be established, a statement of management's commitment. Effective emergency response plans require a clear identification of factors that may contribute to emergencies, types of potential emergencies, consequences of emergencies, unless an emergency response plan is in place, and risk assessment. So, Hazard Analysis should be performed. Identifying the Hazards is to determine what hazards exist that could lead to emergency situations. For each process formulate appropriate 'What If?' questions based on personal, company, or industry experience. The Risk Assessment Checklist can be used to capture the analysis of risks and the company's ability to respond to an occurrence. This should be used to set the priority for corrective action plans. The higher the score, the greater the priority for corrective action and emergency response plans. While the risk assessment identifies the severity of a possible emergency, the capability assessment determines where the resources to manage an event will come from and what capabilities exist. 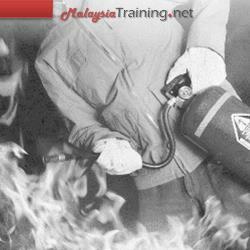 Assess the company's capability to respond to emergencies. It is important to note that resources and capabilities must be assessed in relation to the potential of loss. An effective emergency response plan will not succeed without trained personnel who have the knowledge and skills necessary to carry out the assigned task. Drills and exercises are an effective training tool. They provide a means of measuring the state of preparedness and the effectiveness of an emergency response plan. A thorough evaluation of the exercise will ensure that the emergency plan is successfully implemented and complete. The purpose of incident follow-up is to ensure that all lessons learned from situations are applied to prevent future incidents. Incident follow-up occurs sometime after the incident has been investigated and recommendations made. It involves taking a second look at the situation. For Continuous Improvement several tips should be developed.